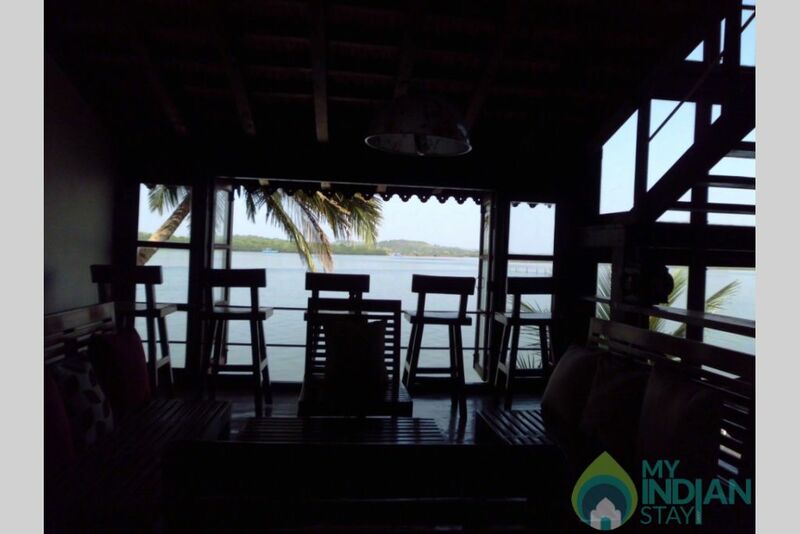 WOODEN CHALET ON THE RIVER BANKS is one of the three beautiful Heritage riverside properties (please check out LAZY COTTAGE ON THE RIVER BANKS and SAINT PETER�S BAY) true Wooden Chalets situated on the banks of one of Goa's largest River. 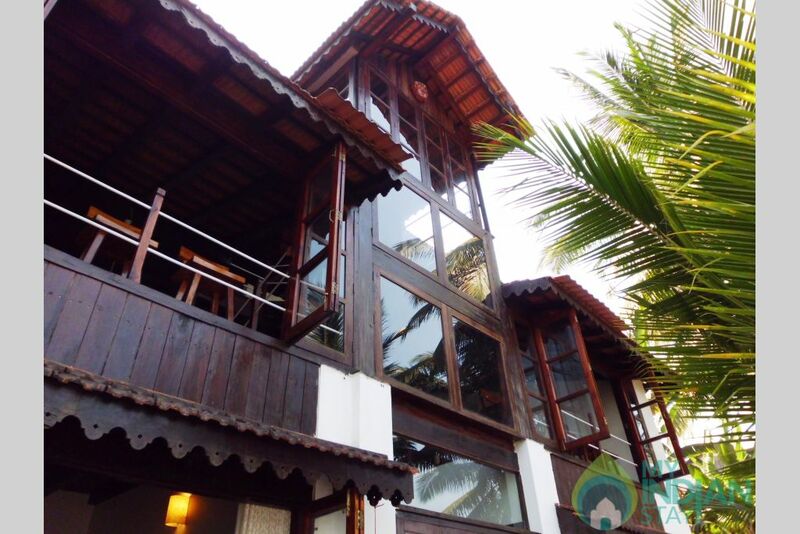 The house is centrally located, just 10 minutes to the Panjim Central Bus Stand which is equidistant from North and South Goa. 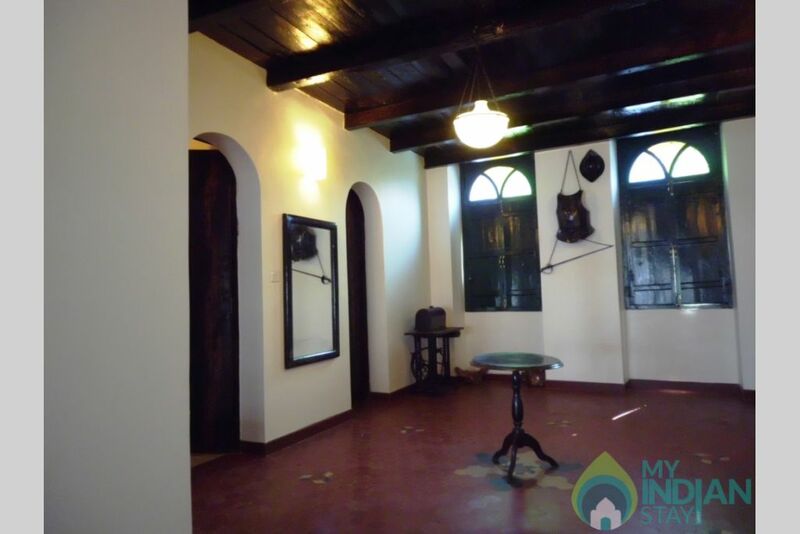 Just a 5 minutes' walk from the house to the Ribandar Town Center where all amenities are available. 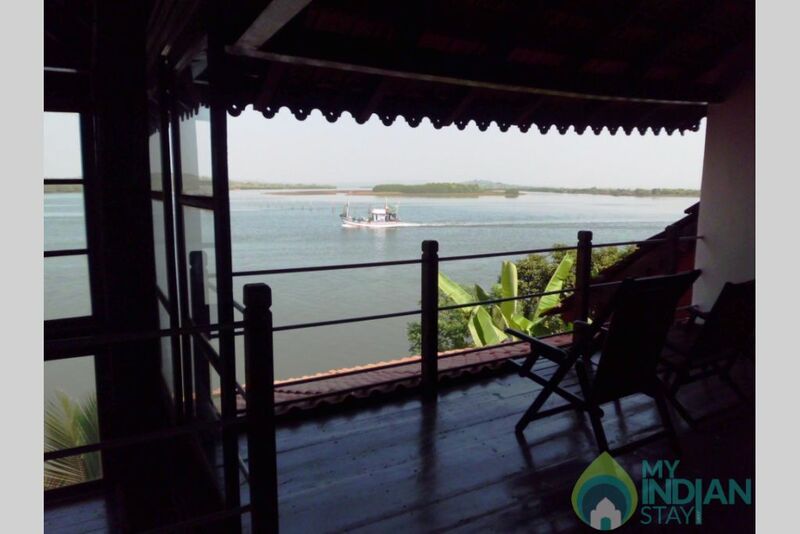 The house is centrally located, just 10 minutes to the Panjim Central Bus Stand which is equidistant from North and South Goa. 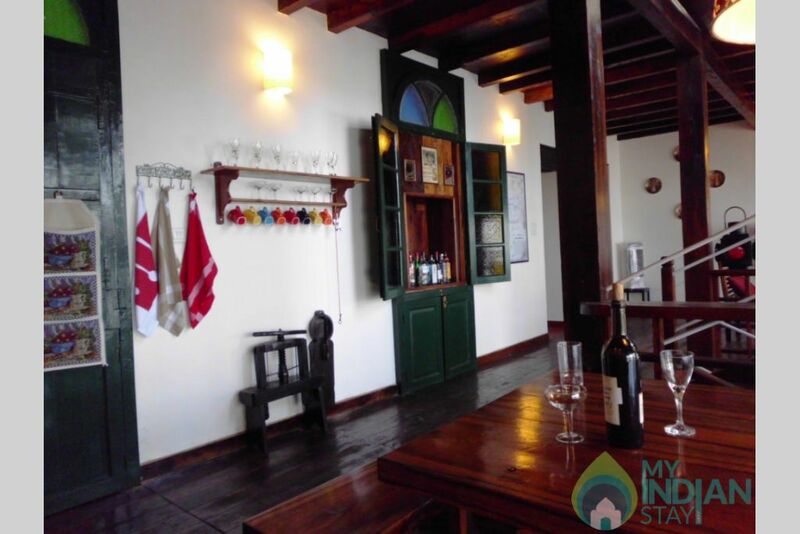 Just a 5 minutes' walk from the house to the Ribandar Town Center (or Patto as it is known in Goa), where you will find available dry provisions, fresh vegetables, meats and fish besides a chemist and a fast food shop. The bus stand is also situated here. All buses end their journey at the Panjim Main bus stand from where you can get all sorts of transports and car and two wheeler hire. The road going Eastwards will take you to the ancient Portuguese Capital city of Goa known as Old Goa which is just 6 Km away. Goa was the only overseas State of Portugal known as "Estado da India" and most of the history lies in this city of Old Goa. This is a location having world famous historical sites and numerous Cathedrals including the Cathedral of Bom Jesu where the body of St. Francis Xavier is preserved and visible to date. Car and bike rental facilities are also available for which information will be provided. 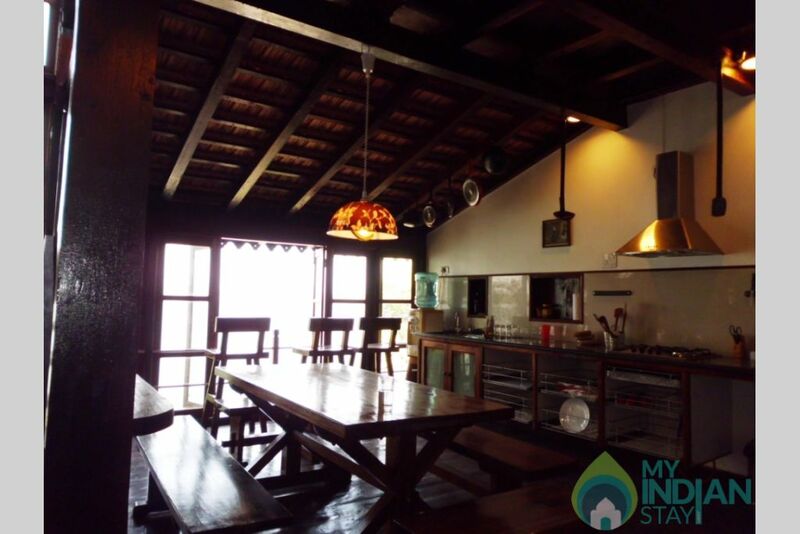 The Chalet is fitted with all amenities one can think of and what you would normally like to have in your home. 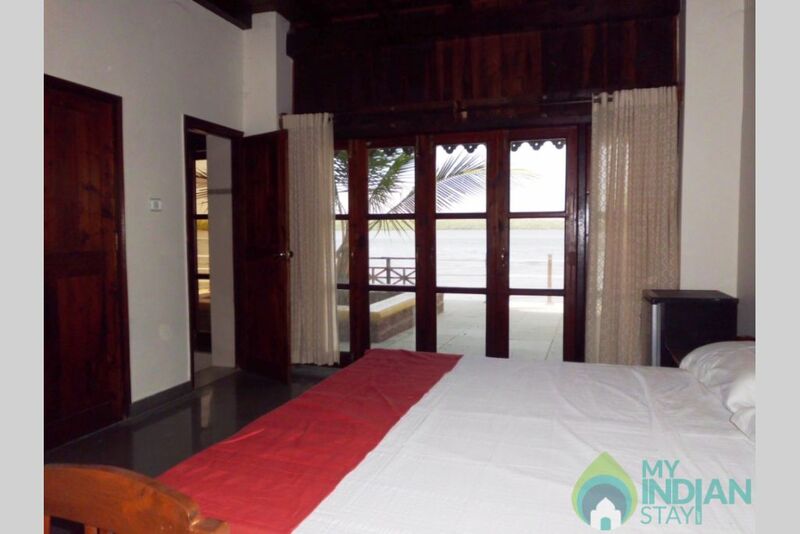 Some of the amenities are two fully equipped kitchens, dishwasher, microwave ovens, baking oven, U.V. filter, hot and cold water fountain, clothes washing machine and dryer etc. etc. 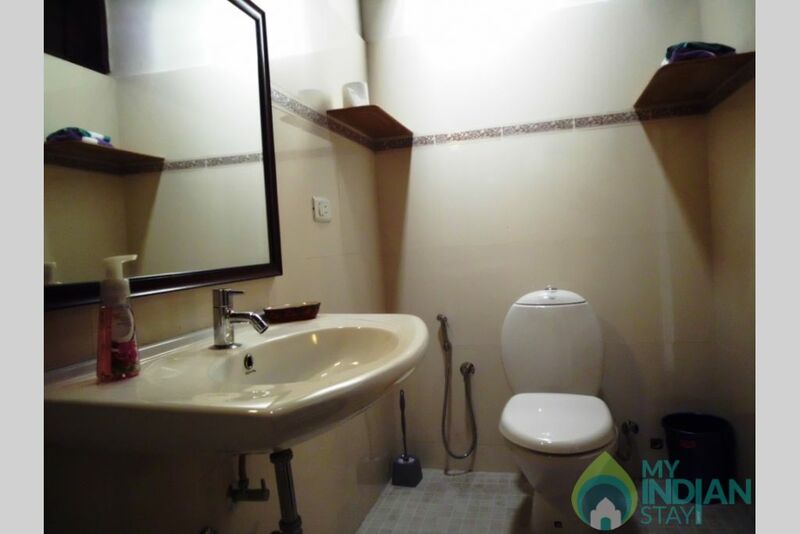 Besides, the house is fitted with a hydro pneumatic water pressure system giving full pressure on all the water outlets and showers. There is an in-house NON-PROFIT convenience store where we provide mostly everything you would need from cooking ingredients to variety of beverages, milk etc. etc. It is really convenient and thus the name �CONVENIENCE STORE�. All items at cost price plus 5% to cover losses etc. We have a SAFE in the convenience store where you can lock up your valuables. The house Lady Kalpana will come every morning to clean up. She is also an excellent cook as recommended by previous guest. It is important to note that any cooking is totally between the guest and Kalpana and is dependent on her availability as she has her own family. Her nominal charges for the group is Rs. 300 for cooking breakfast and Rs. 500 per other meal. This is for labour charge only and you will have to discuss with her about getting the material. 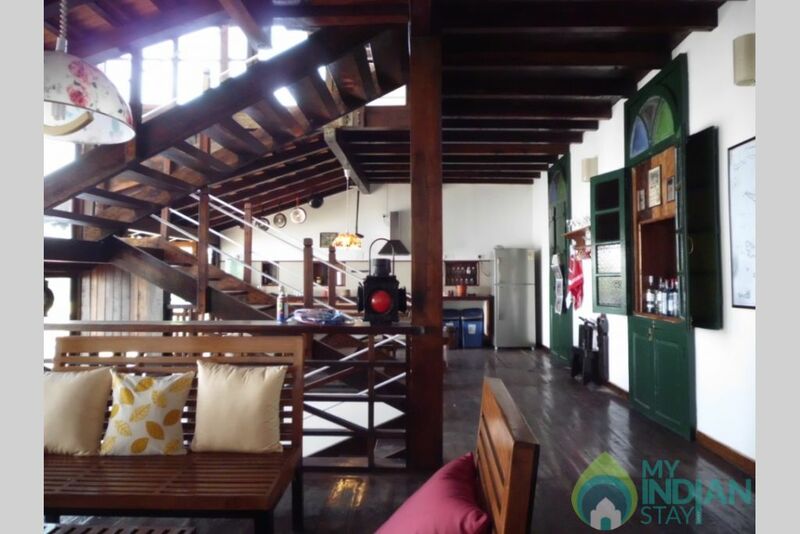 The house is divided into three levels and has four large bedrooms, each with toilets attached. The main Hall, Kitchen, dining and sitting areas is on the road level. 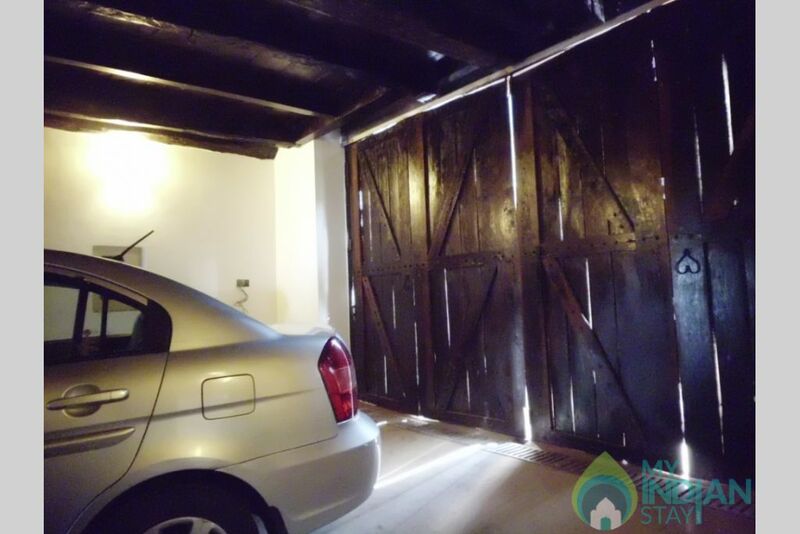 There is a large garage which can accommodate a large vehicle plus 2 or 3 two wheelers. 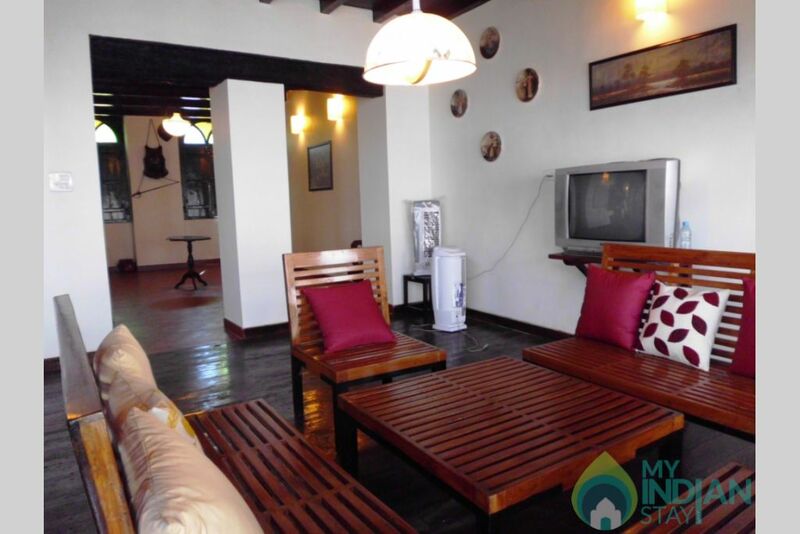 Two bedrooms are located on the first floor above the road level and two bedrooms are located 3 meters below the road level right on the river edge. The house is designed so that the view of the river, and adjacent islands are prominent from every location in the house. 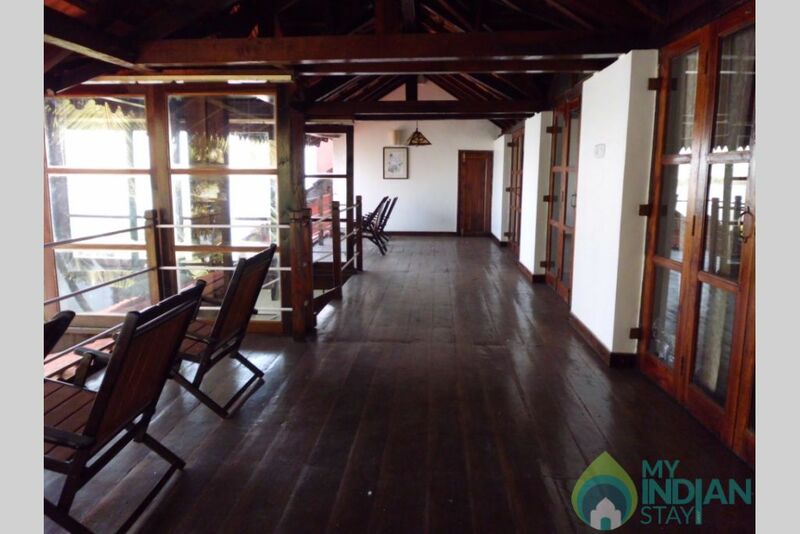 The upper bedrooms have a spacious wooden deck with deck chairs to relax on with full view of the river. 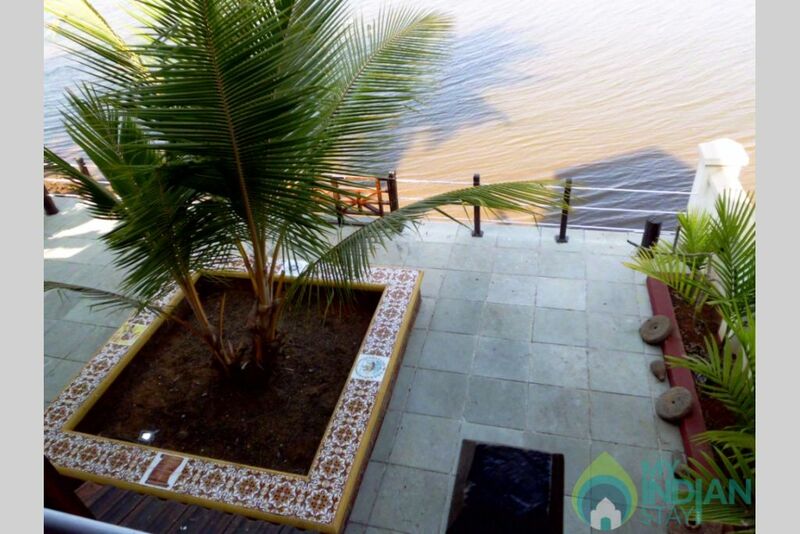 The lower bedrooms open onto a paved patio which is on the river edge. It has docking facilities for a reasonably sized yacht. The upper bedrooms have its own kitchenette fully equipped including a fridge. There is also an ironing board on this deck. The lower bedrooms have fridges in each bedroom. Barbecue equipment including coal at cost price plus 5% is provided so you can enjoy a barbecue on the stone patio. There is good fishing scope however ardent fisherman should bring their own equipment. We provide the best quality bed linen and bath towels. Night sheets are provided as night cover as it is not too cold. We provide LAUNDERED blankets sealed for your protection at extra charge of Rs. 20 each to cover laundry charges. Cleanliness is our motto. In the hall there is a full-fledged computer station. There is free unlimited Broad Band Internet and Wi-Fi. We have BSNL (Govt.) connection and we pay monthly for unlimited broadband. Generally, the Broadband has been very satisfactory but we however state that the connection is dependent on BSNL and we have no control on the quality or any breakdowns. We can assure you that we will make all efforts to ensure that in case of breakdown we pursue BSNL to attended earliest. A music station attached to the computer system allows you to play music from the internet, pen drive or memory card or just connect to your mobile or other portable equipment. Dish T V is installed with all available channels on Tata Sky. We however insist that the guest respect the residential locality and keep the music level to low level. 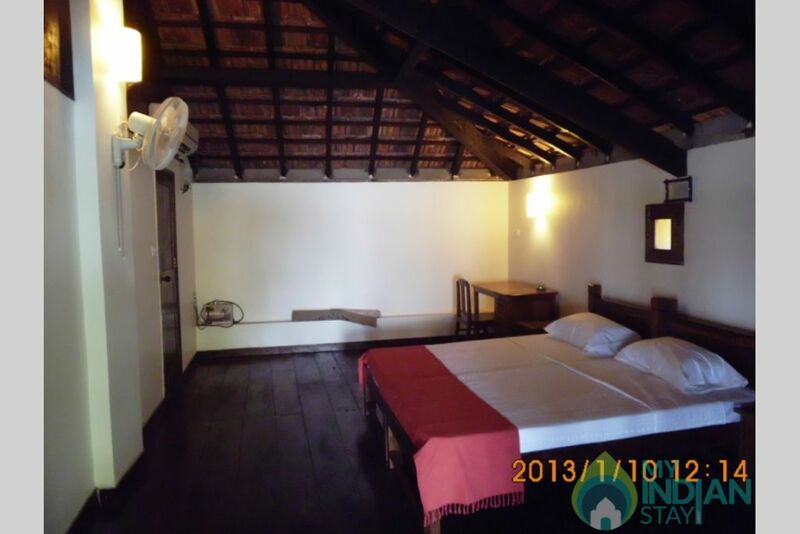 We have taken great pains to ensure that our guest have the best of comforts and feel at home. 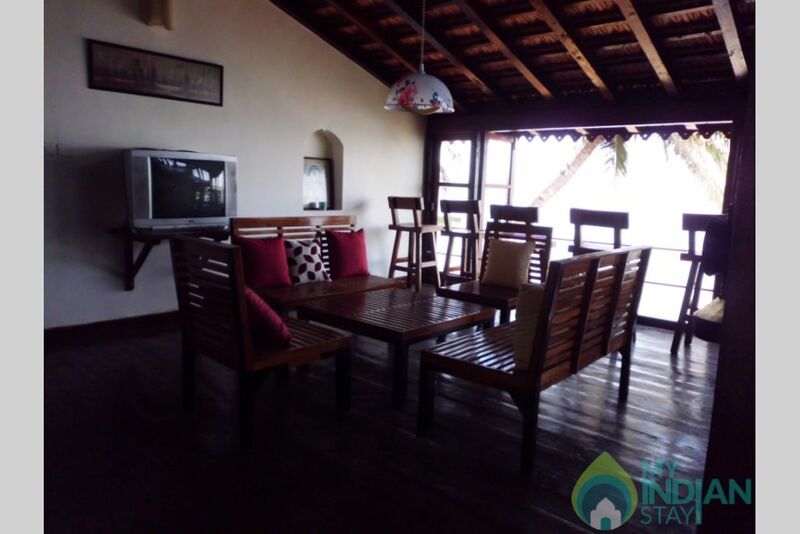 It is centrally located, just 10 minutes to the Panjim Central Bus Stand which is equidistant from North and South Goa. 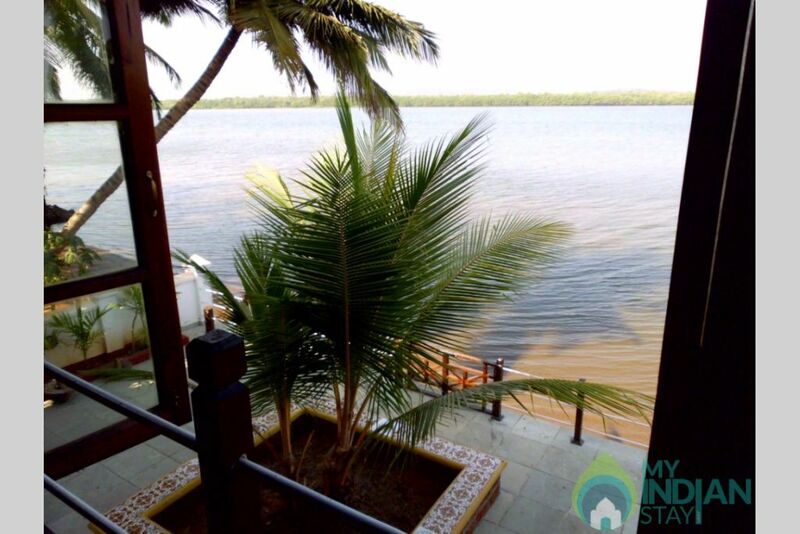 Just a 5 minutes� walk from the house to the Ribandar Center (or Patto as it is known in Goa), you will find available dry provisions, fresh vegetables, meats and fish besides a chemist and a fast food shop. The bus stand is also situated here. The road going Eastwards will take you to the ancient Portuguese Capital city of Goa known as Old Goa which is just 6 Km away. 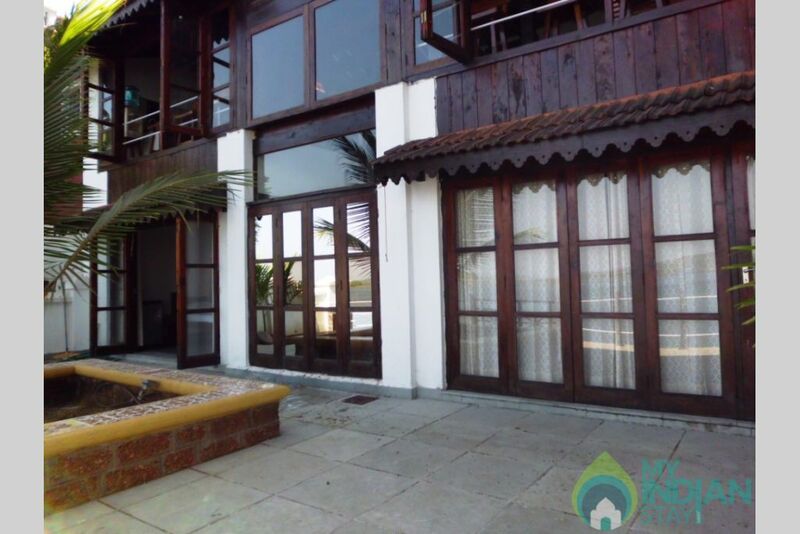 Treat the Chalet like you would do your home. It was a nice experience during our 3 night stay at the chalet with friends and family. If you are someone who loves to experience a different kind of stay, then this place would rate high on my list. It is not too far off from the city limits and has all creature comforts needed. 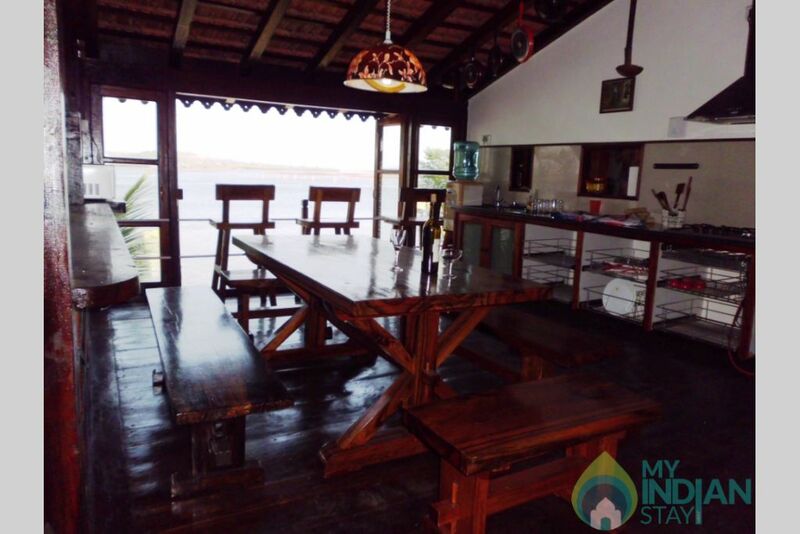 Located on the banks of River Mondovi, the chalet gives you a nice view of the river, the traffic of boats and vessels passing through. The host is gracious and provided all the information before hand, infact I received a separate note with the phone number to reach out if any support is required. You also get a cook (at a minimal price) who cooks a flavorsome meal of your choice. I would definitely recommend this place to my friends! Had a wonderful stay in Casinha Ribandar. 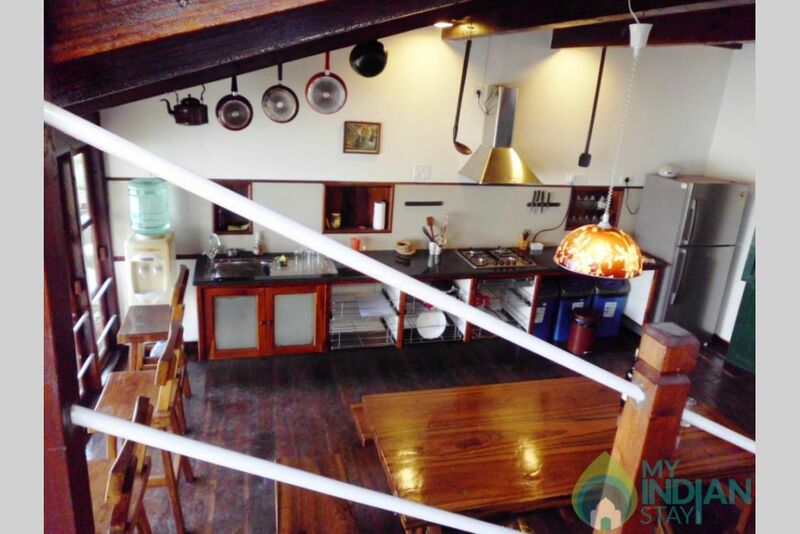 The house is as described - contains everything that you require on a holiday. The bedrooms on the top floor tend to be a bit noisy as they abut the road. Absolute peace in the lower level bedrooms - wake up to see the barges passing by on the river. 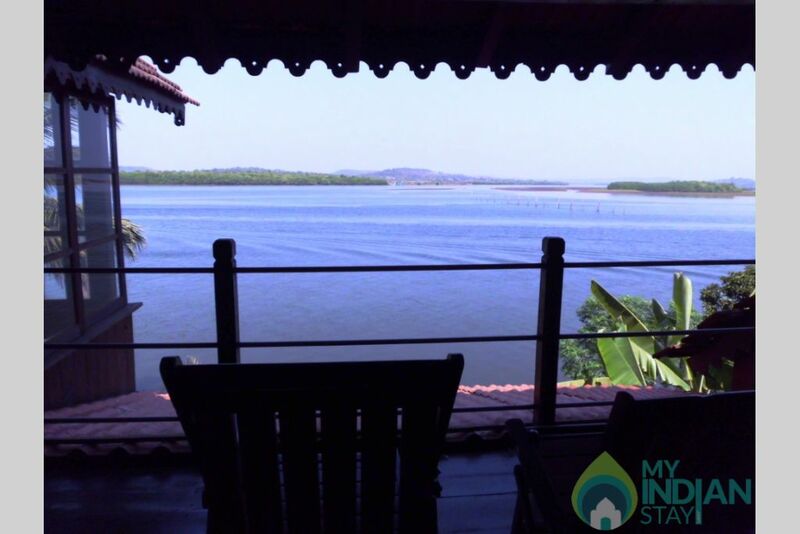 What brings you to North Goa? Who all are coming?